“I want to tell you a wonderful thing about Magnesium. I had pyorrhea and gingivitis for years. When I started taking magnesium the pyorrhea and gingivitis cleared up. Then I noticed my right front cuspid was thinner than the left but there was also a diagonal chip in the left cuspid. I began a regimen of brushing my teeth with magnesium and within 3 months the tooth had remineralized. ​Both teeth are fine and the right cuspid that was thinner is now normal. It truly is a miracle mineral. I told my dentist about it but he didn’t pay attention. This is a supersaturated magnesium chloride (from sea water) in distilled water. The Ancient Minerals Magnesium Oil is safe without contaminants. Just use natural tooth paste and spray some magnesium oil from the spray bottle. One or two sprays will do it. Gargle with a few drops of magnesium oil in water for gingivitis. which you might then swallow. 1/3 Tea spoon of magnesium oil and 1 Tea spoon of water. Swish it in the mouth for 10 - 15 minutes twice a day. ​It's is strong and bitter tasting. the gums will firming up and the teeth will be whiter and cleaner. with hypertension, sleep problems, depression and gum disease. ​ This magnesium oil is called Ancient Minerals. ​be put in a nebulizer and can be used at home by patients both before and after surgery both orally and transdermally to great effect. ​Surgeons need to become familiar with the transdermal approach for then they can start their patients off with heavy application weeks before surgery and for weeks after since this method of application can easily be done at home by patients. For use with a nebulizer again I recommend only the purest magnesium available. Even the pharmaceutical grades have heavy metal contamination so are not suitable. Ancient Minerals magnesium products offer a convenient form of transdermal magnesium — absorbed through the skin — for those who prefer to avoid the hassle of taking pills and the difficulties inherent with poorly tolerated oral supplements. We offer a complete line of transdermal magnesium products, ranging from our highly concentrated magnesium oil to our bath salts and lotion for sensitive individuals. Ideal for children and sensitive individuals.ADDITIONAL PRODUCTS BY ENVIROMEDICAAncient Minerals® is made and distributed by Enviromedica. We produce a complete line of pure, unadulterated natural products to address environmental toxicity, health, and well being. Nascent Iodine – a highly bio-available atomic iodine with superior purity and strength. Magnetic Clay Baths – Detox clay baths for environmental cleansing. Edible Earth – A healing, edible bentonite clay, digestive cleanse and trace mineral supplement..
Prescript-Assist Probiotic – A unique soil-based probiotic combining microflora “Soil-Based-Organisms (SBOs)” with a prebiotic that enhances proliferation. Have you ever made a commitment to making a difference in your own health? If supporting your body’s healing potential while avoiding costly mineral deficiencies is important to you, now is the time to take action. Less than 30% of Americans meet the RDA for magnesium.2 3 Other industrialized nations exhibit similar rates of suboptimal intake. Revered as the “beautiful mineral” in Chinese Medicine, magnesium is as essential to the body as water and air, its beauty attributed to its undeniable healing potential. Although there are only a few ounces of magnesium in the body, it is a necessary element to hundreds of biochemical reactions occurring on a constant basis. Magnesium contributes to the manufacture of energy, cardiovascular function, and cellular reproduction. Strong bones and teeth, radiant skin, balanced hormones, a healthy nervous system, and relaxed body and mind are all made possible by sufficient magnesium in our cells. Ancient Minerals magnesium products are healing by way of the skin, our body’s largest organ. A form of transdermal magnesium therapy, our magnesium oil, magnesium gel, magnesium lotion and magnesium bath flakes are designed to deliver magnesium through the skin, bypassing the gastrointestinal tract for convenient, rapid absorption into the cells. How does topical magnesium work? Watch health experts’ video interviews — find out why the professional community is turning to a transdermal solution. A blog reader said he had high hopes that he would read a blog from me that resisted any mention of my favorite supplement, magnesium. Then he wanted to know if he really needed a magnesium supplement if he eats lots of green veggies. Well, I’m very sorry but the magnesium blog keeps chugging along fueled by constant input from magnesium fans. And yes, I think that everyone needs more magnesium in spite of a good diet. I know I do. One reader wrote: “Another disease you can add to your list that’s caused by magnesium deficiency is pseudogout (CPPD). I had calcium crystals in both knees, both ankles and my left wrist. Within three days of starting magnesium the pain in my left wrist started going away.” He said he found an article in Medical Hypotheses that reported Vitamin B1 (thiamine) needs sufficient magnesium to create thiamine pyrophosphate, but when magnesium is deficient calcium pyrophosphate is produced instead. He asked me to add this information to my website so it can help others regain their quality of life as he has. The type of magnesium to use on your toothbrush is magnesium oil. I use LL’s Ancient Minerals Magnesium Oil because I know it’s safe without contaminants. Just put a few drops on a toothbrush and brush well. I use some of my regular, natural tooth paste; and spray some mag oil from a small spray bottle. One or two sprays will do. Some people use baking soda along with the mag oil. Some dilute the oil if it’s too strong. Some also gargle with a few drops of magnesium oil in water for gingivitis. However, if you have mercury fillings, I would not use magnesium in the mouth. Magnesium pulls out toxic metals and could pull mercury into your mouth which you might then swallow. All in all, the results from using magnesium oil for dental hygiene are impressive. Another blog reader wrote that his mother is on a lot of medications but he got her taking magnesium. He said, “After her first dose she said that she later had a really good BM–and felt 10 years younger. WOW–that makes me feel it’s really worth it to remind her to take it—she’s almost 89 years old. Here is a newly published article in the Journal of Neural Transmission. It’s called Why All Migraine Patients Should Be Treated With Magnesium. The lead author is Dr. A. Mauskop who runs the New York Headache Center and has written many papers on magnesium and migraines. I quoted him in my Magnesium Miracle book. You can read the abstract of his paper which he ends by saying “…the fact that magnesium deficiency may be present in up to half of migraine patients, and that routine blood tests are not indicative of magnesium status, empiric treatment with at least oral magnesium is warranted in all migraine sufferers.” That’s a pretty clear directive that you don’t often see in journal articles…usually they say, we need more funding to research this further! LISTEN to “Live! with Dr. Carolyn Dean”, Monday’s 4-6pm PST on Achieve Radio. Hear archived recordings at 2012 RnA Radio. MY HEALTH LIBRARY: Be sure and go to my Organized Wisdom Library which is growing by leaps and bounds and where you will be able to find written, audio and video information for your health. A shout out to Susan for all her hard work! YOUR HEALTH PROGRAM: To keep healthy join my Completement Now! Online Wellness Program. Email me for a discount (instead of $240, pay only $150.) To stay well or recover your health begin with magnesium. Read my Magnesium Miracle book first. To get well if you have existing health problems, read my Future Health Now Encyclopedia. To know why our health has been stolen from us, read Death by Modern Medicine: Seeking Safe Solutions. RECOMMENDATIONS: For a complete list go to my Resources. I recommend ReMag, my own magnesium product and Natural Calm magnesium, a well absorbed multiple mineral, ReMyte. NOTE: Only you can know if something is helping you. If you don’t feel well on a supposed beneficial product, listen to your body and stop taking it! Knowing when to Not take something is a big part of taking responsibility for your health. Magnesium isn’t only a mineral that is essential to your body’s internal health but once converted to oil form, it also poses a number of useful benefits. According to Ancient Minerals, magnesium oil has been around for centuries. Below is a thorough overview of what magnesium oil is and how it can help you. The name “magnesium oil” is somewhat misleading. Magnesium oil is not the oil form of the element magnesium, but a solution of water and magnesium chloride. The solution is called magnesium oil because it has an oil-like texture. After being harvested from the ocean and rock formations, the magnesium is mixed into the solution that is sold at the store. However, rather than purchase magnesium oil at your local health store, it is also possible to make magnesium oil at home. According to Empowered Sustenance, all you need to do to make magnesium oil at home is to mix half a cup of filtered water with half a cup of magnesium fluoride flakes. Dispensing the substance is easiest using a small spray bottle. Therefore, after you’ve mixed a solution, you can simply put it in your favorite canister and use when needed. The great thing about magnesium oil is that it has a number of common uses. For example, magnesium oil can be used as an all-natural deodorant, it can soothe muscle cramps after a tough workout, and when added to your bath, it can help you relax by soothing, irritated skin. In addition, when you brush magnesium oil on your skin, it can provide relief if you suffer from dry skin and it can also improve your body’s circulation. Apart from having a number of benefits, in general, magnesium oil also has a few specialized advantages for men. Hyperion Nutrition points out that magnesium oil is able to help balance the male body’s hormones, leaving freer testosterone. A high level of testosterone means that men can have better and more effective workouts. 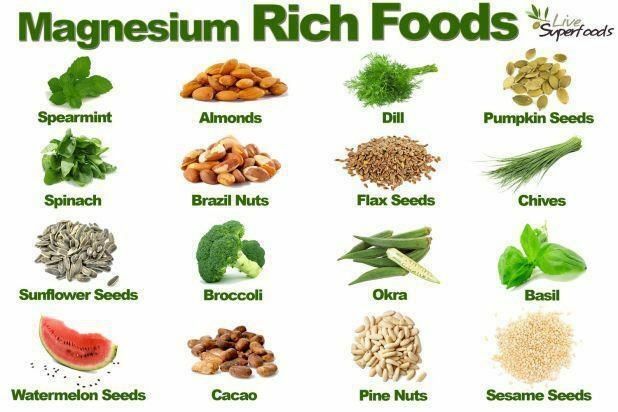 In addition to balancing hormones, magnesium also raises cellular ATP, which has been linked to an increased in energy. Furthermore, magnesium oil also provides more endurance and it can heal muscle pain after a day at the gym. As you age, hair has a tendency to become thinner and less luxurious. Magnesium oil is able to restore your hair to some degree as it has a beneficial effect upon hair through the manner of which it is absorbed into the scalp. For example, when you massage magnesium oil into the scalp, absorption takes place through the hair follicles. The magnesium stimulates the hair follicles and promotes healthier hair. Magnesium also helps hair by increasing thickness and causing a beautiful shine. Promoting good dental health can easily improve your appearance and your confidence. Magnesium oil also has a beneficial effect upon your teeth. Brushing your teeth with magnesium oil with a soft bristle toothbrush has been known to improve gum health and prevent periodontal disease. It also reduces plaque, prevents calcium build-up, and it protects tooth enamel. Finally, magnesium oil also has a great effect upon the appearance of your teeth. Magnesium oil has the ability to whiten your teeth by reducing the appearance of stains. Eczema can be a painful condition that causes irritation and inflammation of the skin. While there are many solutions out there, caring for your condition with natural remedies can be better for your skin and your hair. Magnesium oil can help remedy your eczema because magnesium is a natural anti-inflammatory. By rubbing magnesium onto your skin, you can easily reduce irritation related to eczema. Using magnesium oil over time can rejuvenate the skin, heal dryness, and repair skin to the point that it reverts back to a state where it is softer and less irritated. While magnesium oil has many benefits, magnesium oil also has a number of side effects that are important to take into consideration. If you are currently suffering from a heart condition, then taking magnesium can exacerbate your problem because it has the ability to slow your heart rate. In addition, you should also avoid taking magnesium if you are suffering from kidney issues, renal failure, of if you are on dialysis. Magnesium oil is safe when used in its recommended dosage. The great thing about magnesium oil is that it is very versatile when it comes to application. Magnesium oil usually does not result in side effects if sprayed up to twenty times per day. If you choose to use the magnesium spray on a more frequent basis, then you risk developing nausea and fatigue. New Customers - 10% discount* or buy 3 products and get the cheapest one free! * offers apply to Health Leads own label products, £15.00 minimum value. Not to be taken in conjunction with other discounts. Offer expires December 31st 2009. £10* off for existing customers when you refer a new customer to Health Leads. Please ask your friend to give your name and postcode, we can then credit your account ready for your next order. * Offer applies to orders placed for Health LEads own label products and expires December 31st 2009. Please note that due to the nature of our business many expert and professional opinions are expressed on this website. Where these are not directly related to a particular product such views may not necessarily be in accord with the views of Health Leads UK Ltd.
O.M.D.PrefaceThe book that you hold in your hands contains information that could quite literally save your life. It certainly will extend your existence and save you and your loved ones from a considerable amount of pain. It will help you get to sleep if you are an insomniac, increase your energy levels and performance in sports if you are an athlete and help you avoid the major plagues of our time, i.e., diabetes, cancer, heart disease, neurological disorders and strokes. If you do not fall to one of these diseases your life will be extended. For this book to achieve these goals you will have to consider an explanation for many diseases that is very different from one promulgated by governmental and private health officials. You have to be able to entertain the idea that health authorities have gotten it seriously wrong. In reality you must be prepared to know more about health and disease that your doctor, for in their myopic obsessions with allopathic protocols and principles they have gone blind, deaf and dumb to certain medical basics. What you are about to learn represents a great medical discovery and it all started for me in July of 2005 when I made a momentous phone call to Daniel Reid in Australia. I called to ask him, the author of The Tao of Detox, to tell me about a magnesium chloride product I had heard of that was applied directly to the skin or put in one's bath. His reply was simple, "t's the best detoxification agent I know of." Researching the problems of children with autism and other neurological disorders, who are suffering from mercury poisoning and other chemical toxicities, I got excited. ​Very excited! My research assistant, Claudia French, RN started looking around the web and found David Dartez who was selling natural form of magnesium chloride harvested from sea water. It is referred to as "magnesium oil" and he sent me a liter to try it out. It had not yet dawned on me that my life was about to change dramatically. At the same time I stumbled on a few other professionals in this area, especially Dr. Norman Shealy who had already been using another less natural form of magnesium chloride. I found out that Dr. Shealy had already applied for a patent to use transdermally applied magnesium chloride to raise DHEA levels and thus extend people's life spans. His research was clear: only when magnesium is applied topically onto the skin, where it passes through that fatty tissue, are DHEA levels raised. Neither oral nor intravenous magnesium administration would do this. As director of the International Medical Veritas Association I had direct access to many doctors and scientists around the globe and I began questioning and researching. Several doctors including Dr. Garry Gordon state that it is very difficult to bring up the body's levels of magnesium through oral supplementation, and research confirms this. I began to realize that I found something potentially very important and useful since magnesium has been reported by many reputable organizations to be deficient in over 68 percent of the population. The year past I had been writing a book called The Rising Tide of Mercury with Dr. Rashid Buttar. Just recently he was quoted as saying, "I can now comfortably and definitively state to you that, in my opinion, based on the evidence, every single chronic insidious disease process is related to one word: toxicity. You cannot address the issues of aging unless you address detoxification." Dr. Buttar, board certified and a diplomate in preventive medicine and clinical metal toxicology, and Vice-Chairman and of the American Board of Clinical Metal Toxicology, contends that he only recently arrived at this conclusion. "Five years ago I wouldn't have said this, even a year ago I wouldn't have said it. But the more success we've had, the clearer it has become: All chronic disease is toxicity. You get rid of the toxicity and you put it on fire. You may need to rebuild afterward, but you must put the fire out. Conventional medicine is just covering your eyes so that you don't see the fire." Dr. Buttar, in my eyes, is a great clinician and I learned a lot about his approach to treating autistic children with chelation drug called TD-DMPS. "TD" stands for transdermal so I was already familiar with this growing approach to applying medicines through the skin. It was most exciting to hear about the success he was having, bringing a good percentage of his young patients back from the shadows of autism, which most of them disappeared into after suffering damages from receiving their mercury containing vaccines. The only problem was that all of my professional life I had been naturopath trained in Chinese medicine and acupuncture. It just went against my instincts to administer more toxic drugs to already toxic patients. I am presently writing Survival Medicine for the 20th Century and in reality, Transdermal Magnesium Therapy is its main or most important chapter. If one does a search in Google for either "medical insanity" or "pharmaceutical terrorism", one will find my name. Though I am a director of an organization dedicated to medical truth, and though I have associated myself with many fine and unusually brave doctors, in general I spend most of my time writing about issues that cast a long shadow of shame on the entire medical industrial complex. Personally I have never trusted doctors and only recently have I lost all medical respect for dentists for their blind use and support of fluoride (which can cause cancer of force you to fly to the hospital if your young child eats his or her toothpaste) and mercury bearing dental amalgam, which leaks mercury vapours in the mouth 24 hours a day. While most of today's doctors may genuinely wish to help their patients they have basically been educated and courted by pharmaceutical companies whose only interest is in lining their pockets with your money. Corporate interests are they rule of the day in the world of medicine an almost everyday more news and research comes to the forefront sustaining the fact that most pharmaceuticals do us more harm than good. So bad is the story that we cannot even trust doctors to get their diagnoses right. Most often they are not even close. For example, some years ago much was made of two deaths from measles in Dublin. I tracked down the cases and found both children were already seriously ill before they contracted measles. When a doctor and health official says this person died of hepatitis B, measles or AIDS for that matter, the last thing we should do is believe them. Doctors easily say things that are not proven. The above is a good example. When someone dies what are they dying of? A virus, bacteria or from a severe nutritional deficiency that destroys the immune system's ability to resist? You will never hear a doctor diagnose a nutritional deficiency and yet the majority of the world if officially suffering from such deficiencies. What you are about to read represents a monumental medical and dental discovery. We find out after all that the most basic nutritional substance from the sea is the most powerful and safe medical healing substance. Magnesium chloride as you will see, the same product when injected during a heart attack or stroke to save your life, can be used in a wide variety of disorders. I even use it as the best mouthwash you can imagine and it has saved my gums and thus my teeth from deterioration. I am not going to tell you that it is the only nutritional/medicinal agent that you will need to take but I will tell you that it is the first one you need to take and that it will enhance any other medical and dental treatment you will undergo. Personally I will not treat a patient who is not replenishing their magnesium levels for I do not enjoy failing my patients. In this book you will see me quoting quite frequently Dr. Carolyn Dean who wrote The Miracle of Magnesium. Her title was well chosen. Magnesium, especially in the chloride form when applied transdermally, is the medical miracle we have been waiting for. It is the first medicine that you should stock in your medicinal cabinet. Magnesium is useful for so many things that you will need to read both this book and Dr. Dean's book to explore all its possibilities. With it you can alleviate a score of common problems like muscle pain, insomnia, migraines, menstrual pain, and depression. You can activate your vital enzyme processes and ATP production to increase your energy levels for magnesium is as much food to the body as wheat, rice, or any meat. For all the billions and billions of dollars the pharmaceutical companies will spend on research they will never ever come up with a healing agent like magnesium chloride that comes naturally from the sea. They can huff and puff, and try to poison humanity with their toxic drugs, but they just cannot compete with the Master of Nature, with God who has created us and maintains us with the natural substances. Just don't expect most of your doctors or dentists to either know or admit that a naturally occurring nutritional mineral can save your life in an emergency situation: at least, not yet. Magnesium chloride is one of the most potent minerals that exists and is incredibly fast acting and safe. This book calls on all doctors, dentists, naturopaths, chiropractors, nurses, acupuncturists and other health care practitioners to open their eyes to a great discovery, one that will greatly help their patients. For many though, and perhaps for the vast majority, to open to the message in this book requires humility before God and Nature that they simply do not have. Certainly the pharmaceutical companies and all their drug salesmen and women will not embrace an inexpensive safe medicine that they have to do nothing to create. It is very sad to have to report that there is a form of terrorism afoot that is worse than anything you will read about in the daily papers. There are people around the world acting through CODEX, and organization working under the auspices of The United Nations and the World Health Organization, that want to deny you the use of vitamins and minerals. More accurately said they want to severely limit your access to vitamin supplements, limit the quantities you can take, force you to get a medical prescription to take them, and thus drive the price for them through the roof. In the age of toxicity, where we are all being poisoned by the chemicals in the air we breathe, the water we drink, the foods we eat, and the medicines we take, we need more, not fewer, critical nutritional agents to help us detoxify our bodies and maintain our health. Magnesium chloride is one such essential nutrient, not only as a medicine but also as necessary as the air we breathe in an easily assimilated form. I am an American living down in Brazil and every time a gallon of this magnesium oil arrives I am very happy. It is not widely available around the world and the obstacles for its importation are increasing because of the medical establishment's jealous husbandry over everything we take. I pay through the nose to have it shipped here and wish I had many gallons on hand to ensure my supply over the years that are coming when we all have to face hostile governments dominated by super-rich and powerful pharmaceutical companies that treat us and our children with much less respect than a farmer would treat a pig. We are all caught between an anvil and a hammer, between increasing toxicities and worsening nutritional deficiencies due to soil depletion caused by modern farming practices and the heavy processing that our daily foods are put through. Americans especially, and the rest of the world, take notice. If you think the $3 trillion American medical system is going to survive what is coming in economic terms you should have your head examined. Modern medicine is going to take a great fall like Humpty Dumpty on the great wall. Not only does the system not work, killing and poisoning more people than it helps (iatrogenic death and disease), we are just not going to be able to afford medical treatments in the near future. Medical economics is another serious subject that many are already facing. More and more people just cannot afford medical treatments. Millions upon millions of citizens are losing their medical plans and or being driven into bankruptcy because of un-payable medical bills. What I am going to introduce you to in this book is the most affordable and effective medical/nutritional treatment there is and the first item on my list as a "Survival Medicine for the 21st Century." Let us draw the line in the sand and take a position the world? s medical authorities will not enjoy. In the nightmarish ago of toxicity we have entered, it is the Waters of Life and magnesium chloride found in them that will help us avoid the great plagues afflicting humanity: heart disease, cancer, strokes and diabetes. It will even help children survive their vaccines as will vitamin C. in the 21st century the medical industrial complex will meet its match in a simple abundant magnesium salt from the sea. Why all migraine patients should be treated with magnesium. Magnesium, the second most abundant intracellular cation, is essential in many intracellular processes and appears to play an important role in migraine pathogenesis. Routine blood tests do not reflect true body magnesium stores since <2% is in the measurable, extracellular space, 67% is in the bone and 31% is located intracellularly. Lack of magnesium may promote cortical spreading depression, hyperaggregation of platelets, affect serotonin receptor function, and influence synthesis and release of a variety of neurotransmitters. Migraine sufferers may develop magnesium deficiency due to genetic inability to absorb magnesium, inherited renal magnesium wasting, excretion of excessive amounts of magnesium due to stress, low nutritional intake, and several other reasons. There is strong evidence that magnesium deficiency is much more prevalent in migraine sufferers than in healthy controls. Double-blind, placebo-controlled trials have produced mixed results, most likely because both magnesium deficient and non-deficient patients were included in these trials. This is akin to giving cyanocobalamine in a blinded fashion to a group of people with peripheral neuropathy without regard to their cyanocobalamine levels. Both oral and intravenous magnesium are widely available, extremely safe, very inexpensive and for patients who are magnesium deficient can be highly effective. Considering these features of magnesium, the fact that magnesium deficiency may be present in up to half of migraine patients, and that routine blood tests are not indicative of magnesium status, empiric treatment with at least oral magnesium is warranted in all migraine sufferers. 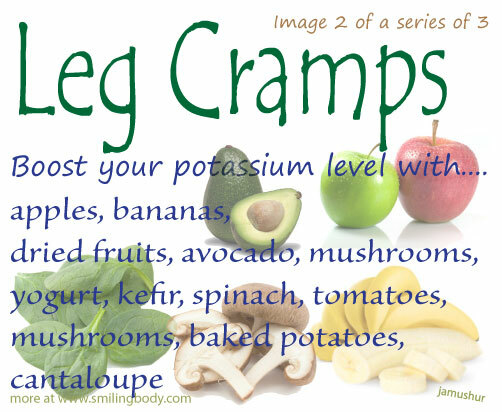 Leg Cramps is the result of Magnesium deficency. Have you seen fancy magnesium oil spray adorning your local health food shelf? Or maybe you read my post last week about the benefits of magnesium and are wondering how to get more of it into your system other than enjoying tons of vegetables? Well you know I love a good DIY beauty of household product and this is one of my favourites – Magnesium Oil! Last week I shared with you all the amazing benefits that ensuring your have adequate magnesium in your body can do and obviously the main way to benefit from this is through diet but this oil is a great, natural and easy supplement. The beauty of this oil is that you absorb it through your skin (trasndermally), so for those of you who have sensitive digestion, are healing your gut or generally not in great health, then this will just go straight into you blood stream and be absorbed without interfering with your digestive system. I started using this last year, my sister is now a fan , as is my mum – so I highly recommend you give it a go! You can buy the flakes from amazon and they double up as a great detoxifying bath soak (just a few handfuls to your bath with some lavender oil is lovely) and follow the recipe below for your high end, high quality, low cost supplement. If your not sure what the big deal is with this magnesium malarky then read here for more info, but basically it can help you sleep better, help with aches and pain, help balance hormones, rest less legs… basically endless things. Basically add the flakes tot he hot water and stir until dissolved. Then once cool place into a spray bottle – ideally glass but use what you have. Spray about 10-15 sprays on your tummy and arms each night. It may tingle or sting slightly at first but this is just a sign of a deficiency so persevere but if it is very stingy then simply dilute the oil with more water. I wouldn’t recommend spraying it on your face or shins or any broken skin as this will sting a lot. It is safe to use in pregnancy as far as i am aware, my preggers sister is still using it and is one happy pregnant lady (except when she is hungry). Ever tried magnesium oil spray? What are your favourite DIY recipes? Can't I just get the magnesium I need by using epsom salts? How is magnesium best absorbed? How was Magnesium Oil discovered? Where does Magnesium Oil come from? If I take magnesium supplements, isn't that just as good as Magnesium Oil? How do I know if I'm deficient in magnesium? What medical conditions can a magnesium deficiency trigger? Can magnesium help with stress and depression? How will I know how much to take? 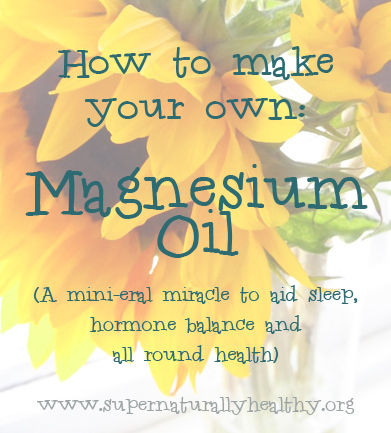 What kind of feedback do you get from people who use Magnesium Oil? Magnesium Oil takes about four weeks! Oral magnesium supplements are not easy to assimilate and many take five years or longer to give results." Magnesium chloride is one of the best kept secrets, not only in naturopathic medicine but in the world of allopathic medicine where it is used in emergency rooms to save lives. This is actually an exciting medical discovery, that magnesium, one of the most common and most necessary nutritional minerals is an incredibly fast-acting, safe and effective medicine. It’s a systemic medicine as well as a local one bringing new life and energy to the cells wherever it is applied topically. Magnesium deficiency is one of the most common nutritional problems in the industrialized world today. "Deficiency of magnesium is associated with virtually every known disease: heart attacks, diabetes, depression, cancer, etc. Oral magnesium supplements are not easy to assimilate and many take five years or longer to give results." "90-95% of the population is deficient (in Magnesium), and most of them have thought that regular magnesium supplements (taken orally) will fix magnesium deficiencies. Unfortunately, this isn't the case." Dr. Norm Shealy, one of the world's leading experts in pain management, has tested magnesium oil using it transdermally against oral and intravenous applications. He emphasizes that through magnesium transdermal use, DHEA levels raise within a short period of time. According to Dr. Shealy the best absorbed oral magnesium is magnesium taurate, but in his experience, it takes up to one year of taking oral magnesium to restore intracellular levels to normal range. By using magnesium oil transdermally, it restores the intracellar levels within four weeks. Magnesium Chloride Hexahydrate (magnesium oil) is easy to use and it is extremely absorbable. There is no known danger to using magnesium unless you have kidney failure. The Prehistoric Magnesium Oil lasts a long time. I apply it everyday and swish it in my mouth after brushing my teeth. Just had my teeth cleaned and the hygienist is impressed with the health of my gums. Mg is great stuff. There’s another health change that I experienced and is documented. My calcium deposits in my Prostate had remarkably reduced. The only change was using Prehistoric Magnesiium Oil and Thyroid Nascent Iodine. The MD Oncologist was impressed. Had never seen this before. He said that, “you cannot do this with diet”. Typically, he didn’t ask how I did it. Witnesses to this were Dr. Harold Ravins and another associate Graham Wallace. I have suffered with a patch of eczema on my ankle for years and was starting to develop patches of the same on my legs, and hip. I have used a number of prescriptions and creams given to me by my doctors for years with only temporary relief. After using your magnesium oil for two days I noticed immediate improvement initially. Within a week the patches were gone and have not returned. Nor have I had a need to use the oil since those first and last applications on days 1 & 2! It's been nearly a year now and I am totally satisfied with your product and have endorsed it to others I know with the same condition. I have recently started swishing Mag. Oil in my mouth for 20 minutes twice a day. What a wonderful difference it's making for my gums and teeth. The pockets are closing, gums firming up, and the teeth are whiter and cleaner than I could ever get them by oil pulling using Sesame Seed oil. I have been having Atrial Fibrillation since 1999. Cause unknown. I was 60 when it began. We were traveling as my husband had retired. I believe it was caused by breathing the fine particulates from vehicle exhaust. Monday, 01-26-09, I saw my Cardiologist and was told I am fine. However, I went into AF at about 12 noon. The beast had struck again!!. Last time, two weeks ago, it lasted 60 hours. Anyone with this problems knows the fear we live with. Especially Stroke. I cannot take Coumadin. I have been taking many supplements +oral Magnesium at 800 mg a day along with an antiarrythimic to make life bearable. I found Pure Magnesium Oil and after talking to Marv, ordered it. We picked up the mail and there was my package with the Mag Oil. Since I was already in AF, I thought to try it and see what happens. I sprayed it onto my feet, hands, and left breast and armpits. Even a small spray under my tongue to speed it into my system. Surprisingly, instead of the 140+ heart rate, I stayed mostly at 96 or less. I went to bed for a while dreading the next 60 hours. Waking from a nap, I was surprised how well I felt. Still fibrillating but at a rate of 76-89. The Rhythm was more stable, not chaotic, with extra beats coming and going. ( I listen to my rhythm with a stethescope) Not the usual dizziness nor shortness of breath. I could continue my usual activities. Night came, then morning. Still in AF. But pulse at 76 and blood pressure very good. Around 8:45 AM I was back to my 65. (Have Pacemaker). Didn't even feel the conversion to Normal Sinus Rhythm. Was it the Mag Oil? I really don't want another episode of Atrial Fibrillation to find out but if it comes, the Mag Oil will be put to the test. I am using it faithfully with high hopes. Not using it orally now but will next time. Truly, the shortening of the time from 60 hours to <21 was a godsend to me. The service from this supplier was great, item was shipped and received quickly. The order process was easy to use. I love the product and will continue to purchase from this supplier in the future. I use both products daily and have referred them to my family members and friends I know that have a need for this product. Very pleased overall. Thank you. I received my order very quickly. The purchasing process was simple. The product is amazing and has helped me and my family become much healthier, more focused and relaxed. I would definitely recommend this seller and their products to anyone, their products are fantastic and I look forward to purchasing from them in the future. My experience with this store was excellent! The website was user friendly and provided sufficient information for me to make an informed selection for my needs. Delivery was prompt and complete. I will be doing business with this store in the future. I order this from Utah on a Monday morning and it was delivered to my home in Florida on Wednesday, I just can't find service like that. Then I e mail them and ask them if I should refrigerate the product and within 30 minutes they reply for me to keep it at room temperature and out of the light. I don't think there is a better company in America. My overall experience was perfectly satisfactory, and we are thoroughly satisfied with the products and results. I definitely recommend shopping here, as I will certainly will buy from here again. An excerpt from "Transdermal Magnesium Therapy" by Mark Sircus, O.M.D. Magnesium chloride (found in Magnesium Oil) is an inexpensive alternative method to relieve stress, inflammation and pain at the cellular level. It is also the mineral of choice for rejuvenation and cell energy production. Epsom salts on the other hand, are rapidly excreted through the kidneys and therefore difficult to assimilate. It is also more toxic and less absorbable and retainable in the body. Effects do not last long which means you need to add more to a bath to get similar results. It also works mainly as a laxative. Its effect, form and toxicity demands it be used in special applications where the sulfur is needed. We do not recommend Epsom salts in the tub to increase magnesium levels since they are very alkaline and can adversly change the PH balance of the skin. Other magnesium products are less advantageous because they lack the infection-fighting potential. Magnesium chloride crystals are made from seawater. Separately, both magnesium and chloride have important functions in keeping us healthy. Chloride combines with hydrogen in the stomach to make hydrochloric acid, a powerful digestive aid that declines in the body as we grow older. Using other forms of magnesium is less beneficial as these have to be converted into chlorides before they can be digested. For example, when we take magnesium in the oxide or carbonate form, we then have to produce additional hydrochloric acid to absorb it. Dr. Norm Shealy, has tested magnesium oil using it transdermally against oral and intravenous applications. He emphasizes that through magnesium transdermal use, DHEA levels raise within a short period of time. Dr. Shealy also states that the best absorbed oral magnesium is magnesium taurate, but in his experience, it takes up to five years of taking oral magnesium supplements to restore intracellular levels to normal range. By using magnesium oil transdermally, it restores the intracellar levels within four weeks. Untouched 250 million year old Magnesium Chloride with other natural trace minerals has been hidden in a geological formation 1400 feet below the earth's surface. It was formed from the Late Permian Era discovered here in America - the same geological formation (Late Permian Era) as the Zechstein® Seabed Products from Europe. We carry the ONLY Prehistoric Magnesium Oil™ in the Permian Era from the USA at a price much less than others! This is an unrivaled source for one of our most vital minerals, a form of magnesium that is easily absorbed by the body. Taking oral magnesium supplements everyday is like taking an antacid everday. Many things affect magnesium absorption from the gut no matter what form of oral supplement is used, and this seriously compromises oral administration in medical treatment. Most drugs will adversely affect how magnesium taken orally is absorbed or how quickly it will be excreted. When we think about the drugs used for children on the autism spectrum, we should be concerned about antipsychotics used for behavior control. Zyprexa, Risperdal, and others can cause hyperglycemia, which in turn causes increased excretion of magnesium taken orally. Many drugs bind with magnesium diminishing its availability in the body. Two cans of soda per day (all of which contain phosphates) also bind up a lot of magnesium by preventing absorption of magnesium ions in the GI tract. Magnesium also binds with aspartame so drinking diet sodas is not an option. Why risk prolonged diarhhea or kidney disease? The problem with oral magnesium supplements is that all magnesium compounds are potentially laxative. And there is good evidence that magnesium absorption depends upon the mineral remaining in the intestine at least 12 hours. If intestinal transit time is less than 12 hours, magnesium absorption is impaired. One of the major disadvantages of magnesium compositions that are currently available is that they do not control the release of magnesium, but instead immediately release magnesium in the stomach after they are ingested. These products are inefficient because they release magnesium in the upper gastrointestinal tract where it reacts with other substances such as calcium. These reactions reduce the absorption of magnesium. Intravenous as well as transdermal administration of magnesium bypass processing by the liver. Both transdermal and intravenous therapy (using Magnesium Oil) create "tissue saturation", the ability to get the nutrients where we want them, directly in the circulation, where they can reach body tissues at high doses, without loss. Intravenous administration is riskier; though as an emergency medicine it most certainly has its place. 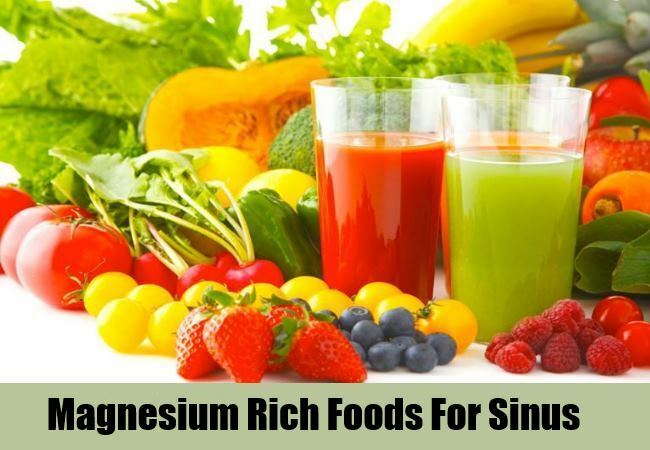 It is well known that oral supplementation of magnesium in any significant quantities will cause massive and prolonged diarrhea and is very likely to cause serious kidney damage. These side effects are completely avoided when using magnesium chloride transdermally even with very large quantities and at high frequency rates. Transdermal application of magnesium is far superior to oral supplements and is in reality the best practical way magnesium can be used as a medicine besides by direct injection. Used transdermally or intravenously we have a potent natural substance that penetrates the cells with stunning result on cell biochemistry. Healing, overall energy production (ATP), skin integrity, cardiac health, diabetes prevention, pain management, calming effect on the nervous system, sleep improvement, lowering of blood pressure are among the general uses magnesium chloride can be put to. The studies coming out every day provide more evidence of the need to supply adequate magnesium to people of all ages, and in a form that will be easily absorbed. What a few can do with intravenous magnesium injections everyone can do with transdermal magnesium. In summary, magnesium is a safe and simple intervention and should be the first thing doctors recommend to their patients. Transdermal mineral therapy with magnesium chloride is the most powerful, relatively safe medical intervention we have to care for many of our patients needs. With this simple application of magnesium on the skin or used in baths we can easily have our patients take up their magnesium to healthier levels. With patients who are deficient in magnesium (the great majority of patients are magnesium deficient) expect dramatic improvements in a broad range of conditions. "Magnesium chloride is a nutrient ... that belongs in every household in the world, in every doctor’s clinic and in every hospital." An excerpt from the book "Transdermal Magnesium Therapy" by Mark Sircus, Acupuncturist, and O.M.D. Mark Sircus Ac., OMD, is a medical professor as well as a communication and perceptual psychologist. He can and does instruct both patients and practitioners in his revolutionary methods. He can also respond to peoples’ emotional and spiritual needs on request. Listen to what he says in this video. • Bowel disease- Mg deficiency slows down the bowel causing constipation, which could lead to toxicity and mal absorption of nutrients, as well as colitis. • Insomnia, RLS, Sleeping Disorders - Sleep-regulating melatonin production is disturbed without sufficient Mg.
* Material excerpted from Carolyn Dean, MD, ND. "The Miracle of Magnesium" (2003 Ballantine Books: New York, NY), 2003. pp. 5-7. Dr. Carolyn Dean is an acknowledged authority in both conventional and alternative medicine. As the well-known author of "The Miracle of Magnesium", she is an expert in recognizing and treating the dozens of conditions caused by magnesium deficiency. See even better results today by adding Thyroid Nascent Iodine! Thyroid Nascent Iodine helps the body stimulate the thyroid to do it's job rather than replacing thyroid function as some synthetic medications do. Get radiation and auto-immune protection! Get better overall health AND save money, too! Because magnesium is involved in so many processes in the body, once a deficiency develops, that deficiency can spiral out of control. A low magnesium level causes metabolic functions to decrease, causing further stress on the body, reducing the body’s ability to absorb and retain magnesium. A marginal deficiency can easily be transformed into a more significant problem when stressful events trigger additional magnesium loss. In the extreme situations, stressful events can trigger sudden drops of serum magnesium, leading to cardiac arrest. Magnesium is considered the “anti-stress” mineral. It is a natural tranquilizer that functions to relax skeletal muscles as well as the smooth muscles of blood vessels and the gastrointestinal tract. Even a mild deficiency of magnesium can cause increased sensitivity to noise, nervousness, irritability, mental depression, confusion, twitching, trembling, apprehension, and insomnia. Magnesium offers a powerful way to help the body treat depression. It also helps the body to better deal with stress because large amounts of magnesium are lost when a person is under stress. Anxiety and panic attacks are also addressed by magnesium by keeping adrenal stress hormones under control so it can really help in dealing with stressful emergencies. Is there any relationship between magnesium levels and obesity? It is interesting to understand that when a dieter starves himself of calories, he/she starves the brain cells as well. New research finds that these hungry brain cells then release “feed me” signals, which drive hunger, slow metabolism and ultimately cause reduced-calorie diets to fail. Magnesium would be number one on the list of driving those hunger signals because it is also the number-one and most important mineral lacking in most processed foods today. Obese people have a serious problem with magnesium deficiency and no matter how much they eat they can never get enough and this is especially bad for brain cells, which depend on magnesium for healthy neurological function. Part of the problem is all the white, nutritionally-deficient foods obese people tend to eat. 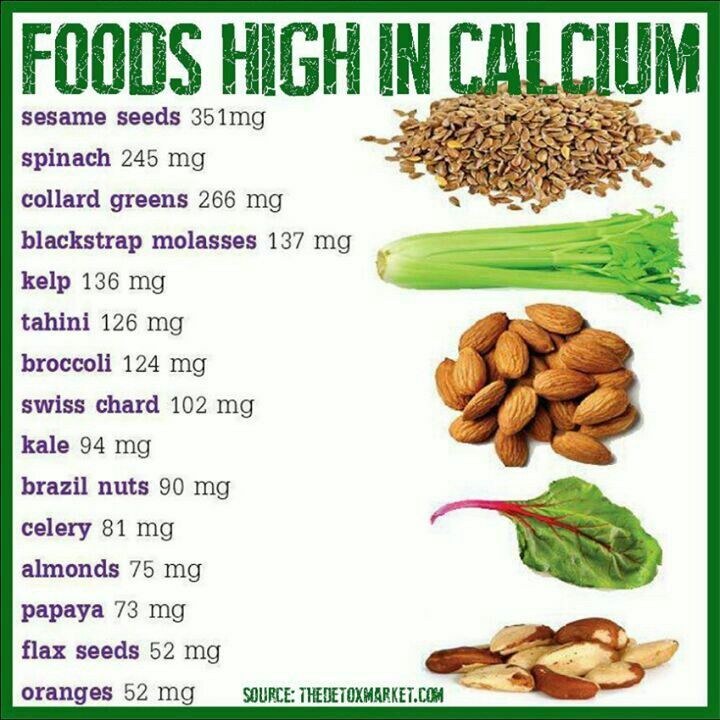 White foods are stripped of all of their magnesium mineral content so anyone who consumes these foods simply MUST INCREASE their magnesium to satisfy their mineral cravings! Since Magnesium Oil can be used for many different health conditions, here are some suggested uses. Oral 3-5 sprays of magnesium chloride in a glass of pure water is an excellent way to take magnesium internally. It assists digestion, counteracts excess acidity in the stomach, and delivers magnesium swiftly into the bloodstream for distribution to all the cells of the body. The taste of the Magnesium in water does not taste very good. You can mix it in a little fruit juice such as grapefruit, orange, lemon or other types of juices. What ever suites you best. The recommended amount of Magnesium Oil per bath is 2 oz- 4oz. Remember other forms of Magnesium such as flakes, Lotions, or gels usually have less Magnesium per ounce in them. Best Results is using Magnesium Oil directly such as spraying it on the bottoms of your feet. Using 4 to 6 sprays of Magnesium Oil under each arm, armpit and sides of the body. Spraying directly on area's of concern accelerates a direct benefit to the body. Ten (10) sprays equals 1100 mg of magnesium. Use approximately ten sprays or more daily after you determine your individual tolerance. Some people and especially children might develop a rash from using the magnesium oil when applied directly to the skin. Note for sensitive skin: Many children, if the magnesium oil is used at full strength, will feel a burning or stinging and this can be painful and if this happens the oil should be washed off quickly. In such cases you need to dilute the magnesium oil 50/50 with distilled or mineral water and when the body acclimates to the magnesium one can then build up to the full concentration. Rule of thumb about dosage: It is always a good idea to start with low dose and work one's way gradually to higher doses. Whenever any kind of uncomfortable reaction occurs this is a sign to lower the dosage or concentration. --"Trandermal Magnesium Therapy" by Mark Sircus, Ac., O.M.D. More than 23 G or (23,000 mg.) of Magnesium Chloride Hexahydrate in every ounce!